Home Travel Blog Have you ever seen the wonderful harvest rice field in Vietnam? If you are the fancied and intelligent tourists who want to explore the culture of the Indochinese Peninsula, for instance, Vietnam, you should start your journey with the rice civilization in this country. 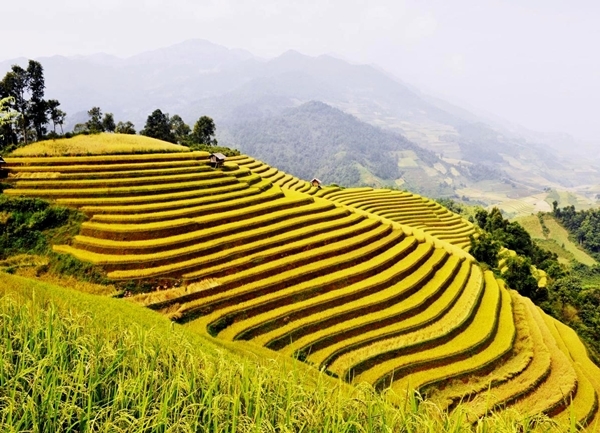 In contrast, if you only normal travelers who desire to discover the natural beauty in the world, Vietnam with its rice filed is also one of the best choices for you. 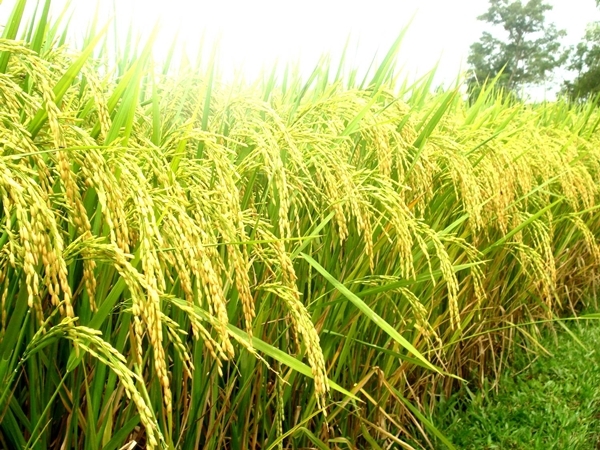 The following destinations of impressive harvest rices in Vietnam are golden arrivals which you shouldn’t miss! Tam Coc is one of the most famous arrivals in Ninh Binh which can attract a lot of tourists every year. With the system of limestone mountain, the mysterious caves and wonderful rice fields, Tam Coc is compared as Halong Bay on land. 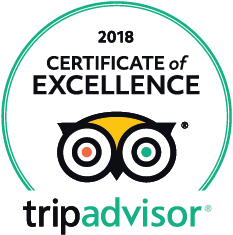 Visiting Tam Coc, traveling on the boat, hearing the charm of birdsong and contemplating the beauty of rice here, you will certainly have special experience. You can have chance to dip into the natural space of the countryside which is very quiet and peaceful. 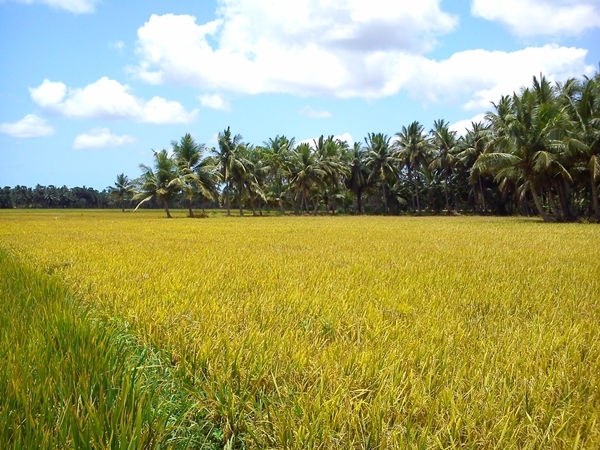 During the route, you can see the area of rice where the farmer are harvesting. It is sure that it is very difficult for you to find a similar destination in other countries. Harvest rice fields on terraces in Chieng An, Son La are located about 70 kilometers far from the center of Son La town. On these days, all the rice fields are nearly ready to be harvested. They looks dark yellow- the color of brilliant sunshine. If having chance to come here, you will be certainly excited about what you can see. The yellow of harvest rice, the green of forest, the brown of farmers’ shirt make a wonderful and romantic picture! For almost tourists, they never forget to bring along a camera to take impressive photos of harvest rice field here! 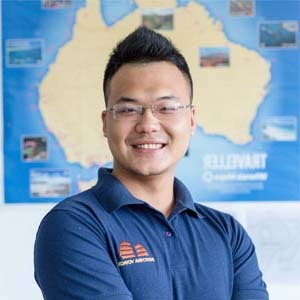 Quang Ninh is a developed province of Vietnam. It is very famous for the beautiful landscapes such as Halong Bay, Co To Island, Bai Chay Beach. 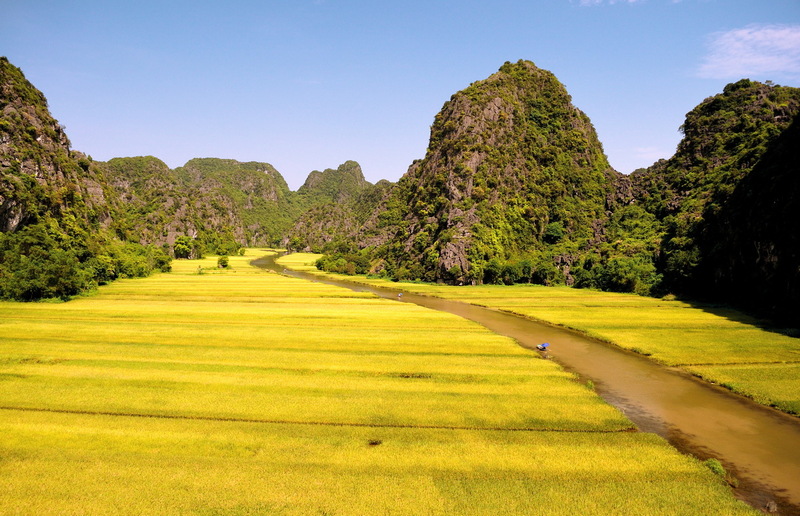 However, not many foreign tourists know that Quang Ninh is also well- known for peaceful destinations, for instance, Binh Lieu Rice Field. This field is the most beautiful in the afternoon when the sunshine is weaker and the temperature is lower. It will be very memorable if you have chance to walk along the soil land, hear the birdsong, contemplate the yellow picture of harvest rice field and enjoy the unique smell of nature. It is really attractive, isn’t it? 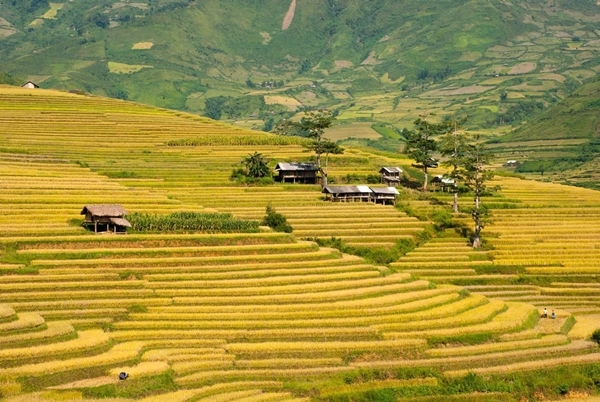 The mentioned harvest rice fields are top impressive ones in Vietnam for you to travel. Therefore, why do you still hesitate to come to Vietnam and see it yourselves?